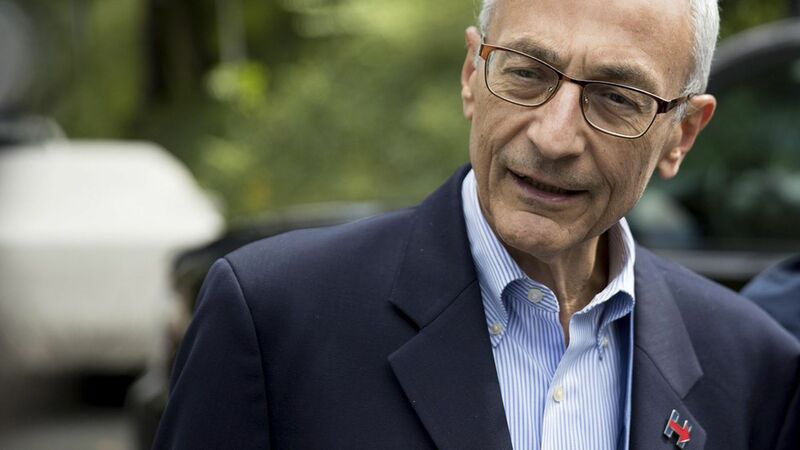 Hillary Clinton's former campaign chair John Podesta — who infamously had his emails hacked by the Russian government during the 2016 presidential race — is speaking out against the "big lie campaign" propagated against him by President Trump. His tweets: "Not bad enough that I was the victim of a massive cyber crime directed by the Russian President ... Now I'm the victim of a big lie campaign by the American President. [Trump] seems a lot more worried now than July 2016 when he asked the Russians to hack our campaign." Some context: Trump attacked Tony Podesta, John's older brother, on Twitter earlier today, saying that the brothers have "earth shattering" information about Democrats that "could Drain the Swamp."